As part of my watching through the 1001 TV Shows list with the hub I have been re-watching a number of shows that he has not seen. I’ve already covered the story of Bleak House when I read the book a few years ago – so these will be a few brief words about the adaptation. Unlike my husband, I am a fan of the BBC bonnet drama. I make sure to re-watch Pride and Prejudice every few years around Easter and Bleak House tends to come on in the run up to Christmas. I’m not sure why I associate this show with Christmas other than the fact that I originally watched this in the gap between Boxing Day and New Year in 2005. With this watching of Bleak House I might be getting close to double digits and yet it is still able to break my heart time and time again. The book, being so long, meant that there was a lot that could be streamlined in order to bring it to the television. This means that what is left in the eight hours of this miniseries is the best and most essential parts of an excellent book. Aside from the source material there are two main things that help to elevate Bleak House above other Dickens adaptations. Firstly, there is the huge cast of unique characters who have all been excellently cast. Seeing this 12-13 years after the initial broadcast has given me a chance to look back on some names (like Carey Mulligan and Anna Maxwell Martin) who have since been able to forge strong careers. Alongside Anna Maxwell Martin’s amazing turn as Esther you also have a then-career best performance from Gillian Anderson as Lady Dedlock, which helped to open up a whole new set of roles in her subsequent career. Then there’s Charles Dance as the devilish Tulkinghorn and Denis Lawson as John Jarndyce (aka my literary crush) who round out the best of the starring roles. There are also a number of smaller roles that leave huge impacts thanks to actors like Sheila Hancock, Lilo Baur, Johnny Vegas and Phil Davis. The cast is one thing, but the way that the creators eschewed traditional drama norms by having these as half hour episodes with regular cliffhangers really makes Bleak House work as binge-worthy television. In-keeping with their playing with our expectation of a Dickens adaptation – Bleak House uses modern editing and transitions to help this feel more alive than I have ever seen Dickens being portrayed. Would Dickens approve of this adaptation? It’s impossible to know, but Bleak House is one of those adaptations that stands as one of the best ever produced, as well as one that helped make this tome of a book that much easier to teach. I think now, more than ever, we’re more aware of looking at the intentions behind the creation of a piece of art. With Louisiana Story it might be a bit much to call this propaganda, but that designation may not be too far from the truth. 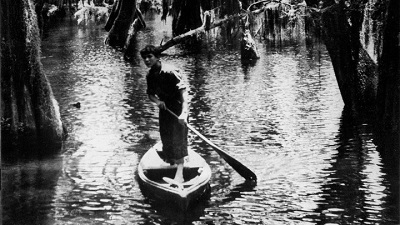 There’s no question that Louisiana Story is a beautifully shot piece of fiction whose languid pacing matches the setting of the Louisiana bayous. However, it feels like an awfully cynical look at the Cajun people who are depicted as simple folks in both senses of the words. Even if I didn’t know this was paid for ‘big oil’ to promote their drilling ventures, it all just feels too idyllic… especially now we know some of the environmental issues this drilling has been the cause of. Also, there’s no real story to this film. We have a Cajun family (who cannot act) who make money from signing off part of their land to a drilling company, a alligator who ends up being killed because he supposedly a pet raccoon and the setting up (and, due to an explosion, the dismantling of) a drilling platform. All this with many a beautifully framed image of the swampland and the animals that live in there. There’s some banter between the young boy and the workers… but it does feel like they’re taking the piss a bit and he has no idea what’s going on. It’s things like that which speak to this film feeling a bit tone deaf and makes me question how, in 1952, the BFI voted this one of the best 10 films ever made. I think my problem with this goes back to what I felt about Flaherty’s most famous work: Nanook of the North. As a documentarian Flaherty knows what looks good on the screen, but the moment a narrative gets involved everything descends into a (sometimes cruel) stereotype. I guess it just needs to be said to take any Flaherty film with a massive tablespoon of salt. It shows that it’s worth having an extra long browse if you happen to have the time. Whilst I have yet to pick up the pig’s feet at the Chinese supermarket near the office, I did find a jar of honey calamansi concentrate. Since the book specifically mentions calamansi and being used for beverages, I figured that this would work as a use. On a side note… what are you meant to do with pig’s feet? Being that this is mixed with honey, any reference I’ve tried making to the taste and the smell of the calamansi is taking into account the extra sweetness. 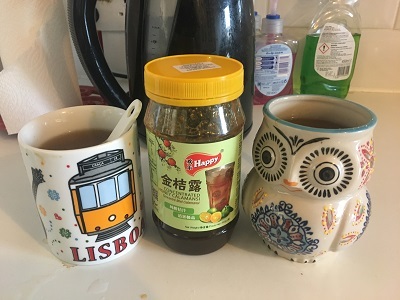 Having had a few mugs of this I can understand just why you would need some sort of sweetener – also, since I’ve been ill this last week, drinking this as been like some sort of East Asian hot honey and lemon. The smell of the calamansi is like a mix of the sweet-sourness from mandarin orange and the sour-bitterness of yuzu. The taste matches the smell which was a bit strong for me – even with the influence of honey. Where the instructions says three tablespoons of the concentration per mug, I only add two and include an extra half tablespoon of honey. It’s not that I have a particularly sweet tooth, just that I am very sensitive to bitter tastes. Despite the bitterness and the fact that I am not a hot drinks person, I can see this being a great drink to have cold. Just need to get another jar to try out this theory as I’ve nearly run out of the stuff. 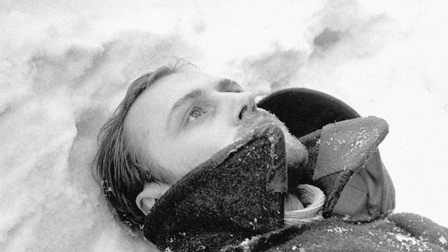 With all of my not being able to see the fuss around Andrei Tarkovsky’s oeuvre I had completely forgotten about the other pieces of Russian cinema that I have watched and loved (e.g. Russian Ark and The Cranes are Flying). For whatever reason, I had been putting off watching The Ascent because I had gotten it into my head that it would be similar to Red Psalm, when it’s more like The Red and the White. Coming from the UK, where all films about World War II are stricken with patriotism and ‘that Bulldog spirit’, it is always an eye-opener to watch a film made by a country that was actually occupied. For the most part, I think that there is something incredibly special about those made in Eastern Europe. I don’t know if it’s because of the more matter-of-fact nature of these films or the bleaker aesthetic, but so many of these films are able to succeed by creating stories that are incredibly human and, sometimes, almost mystical. The Ascent is incredibly moving. It’s the story of two members of the Soviet resistance who leave their group to look for food, only to find themselves being on the run after being spotted by a group of German soldiers. What unfolds is an incredibly psychological look at these two Russians as they deal with pursuit, capture, torture and their scheduled execution. This is one of those rare films where everything works. The two lead actors are excellent in their roles of the soldiers. They both have incredibly different roles to play with regards to how they follow their conscience, but there’s no question that they were perfectly cast. If you are more used to British or American films about the Second World War you may find this film has a bleaker look and a slower pace than what you are used to… however this is perfectly suited to the story that the director is trying to tell. Speaking of the director – the fact that this is the final film of director Larisa Sheptiko before she died in a car accident at 41 is such a tragedy. Similarly, it is tragic that in all the recent talk about looking back on films by female directors there has been a complete lack of recognition on the work she did on The Ascent. With this being her fourth feature film, I do feel an agency to track down her previous work – even if it’s to make sure that these films have another pair of eyes on them. There isn’t a lot in it, but this is still beaten out by The Cranes Are Flying as my favourite film from the old USSR. However, I have a feeling that the ending to The Ascent is one that will haunt me for a while to come. Not only because of the horrendous tension that Sheptiko was able to build around the execution seen, but also the ever worrying question of what I would do if I ever found myself in the same situation as these soldiers. At the end of 2015 I ranked Carrie & Lowell as my second favourite album of that year behind Father John Misty’s I Love You, Honeybear. That was a tough call as, honestly, there was less than a hair between my top 3 of that year. Even now, two and a half years later, it is incredibly difficult to rank them. However, there is absolutely no denying that Carrie & Lowell is an incredibly special album. As someone who has been a loyal fan of Sufjan Stevens’ music for over a decade (and seen him live twice) a new album always produces a lot of excitement for me. With Carrie & Lowell it was even more so as it was a return to the folk roots that he abandoned for his previous album (The Age of Adz). Not only that, but this was going to be his most personal work to date. I couldn’t wait. I was right to be excited. Carrie & Lowell is an album of outstanding beauty that has been created from Sufjan Stevens’ own pain and his love for both his mother and his step-father. There are still times where track from this album have the ability to make me feel tearful, and considering how many times I’ve played this album in the last 3 years that is no mean accomplishment. As an album is an incredibly cohesive time capsule for a short period in Steven’s life. His lyrical quirks and asides (such as the line from ‘Eugene’ about his stepfather calling him “Subaru”) with the beautiful arrangements that are at times sparse and at others lush just make this whole album sound like sonic therapy. At the centre of all this are two tracks which, somehow, were even better when I saw him play this album live: ‘Fourth of July’ and ‘The Only Thing’. The former is about a conversation between Stevens and his mother as she lay dying in hospital. It’s a story about how, in the face of death, they were able to properly communicate their feelings of unconditional familial love. Then there’s ‘The Only Thing’. A song that, if you are someone who has ever had the misfortune to come face to face with part of you that seeks self-destruction, speaks a strange truth. In essence, it is a song about all the ways you imagine topping yourself, wondering how much you care if you end up surviving and finding a reason to carry on. There’s a similar song on St Vincent’s amazing album MASSEDUCTION called ‘Smoking Section’. For her the reason to keep going is love, for Sufjan it’s the beauty that can be found in nature and his own faith in God. I cannot imagine how hard it must be sing a song like that every night when on tour – must be like continually prodding at an open would. Then again Carrie & Lowell, as an album, is an open wound. It’s made of some of the most beautifully and brutally honest songs that I have ever heard. Hopefully this has been the catharsis he needed. Feels like I’ve been on a bit of a role lately with films. I guess that’s what feeling sick gets you, time to catch up on your movies and napping. Lola ended up being the last of these films in what appears to be a tradition with me and the films of Jacques Demy. Guess that means I’ll be waiting until my next bout of sickness before watching his best known work: The Umbrellas of Cherbourg. If I had to some up my experience of Lola in one word it would be: vague. The world of Lola seems to exist in a vague town build for thousands, but only houses about 20. At least that’s the only way you can explain away the way that every character seems to meet and interact as if by chance. This isn’t a criticism, but the whole thing made me think of this as being a classy French soap opera from the 1960s crossed with Groundhog Day (because the whole feeling of pre-destination). This is not a criticism, but it just speaks for the fact that if you are looking for a film with a lot of substance… then Lola may not be it. If, however, you are looking for a light and well done piece of fluffy cinema (and you’re not too sick that subtitles are out of the question) then this might be the film for you. It scratched my itch today because of the well written dialogue and the fact that I didn’t need to concentrate too much on what was happening. It was also cool to see Marc Michel (who I previously saw in Le Trou) in another movie, even if I was glad that he didn’t get the girl in the end. 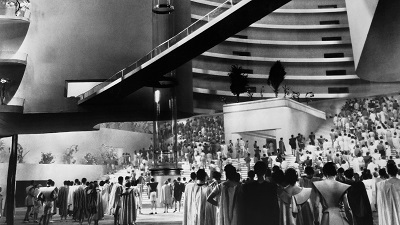 When setting out to make 2001: A Space Odyssey Stanley Kubrick was told to watch Things To Come as a source of inspiration. Kubrick did not like the film at all. I haven’t found out why Kubrick felt this way, but I think I can hazard a guess. The overall idea of Things To Come is that it posits an alternative history based on the then contemporary word and then extrapolates from there with the whole thing being fed through the filter of H.G. Wells. Having read The Time Machine I came in fully aware of just how philosophical this would end up becoming. 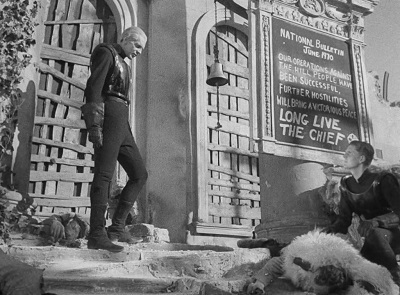 You see, Things to Come is not a completely coherent film when it comes to plot. It’s full of a lot of interesting ideas about where society could head given a certain set of circumstances, but it is very much of a view that technological progression should be the be all and end all for humanity. Whilst I don’t necessarily disagree that progress should not be a goal, this film posits that it should be prioritised over happiness… and that isn’t something I can get on board with. One thing that I loved about this film, however, was the art design. Whilst the latter sections were not as interesting in terms of plot, it was a complete feast for the eyes. The futuristic sets and the scale models used for the moon-launcher gun were utterly fantastic. Similarly, the large scale sets for the UK in 1940 felt expansive and incredibly effective. Speaking of the 1940s section, this first part of the movie was the best by a country mile. Setting aside the fact that Wells was only a year off with his prediction of World War Two, the depiction of the blitz was incredibly visceral. I honestly don’t know how many war films I have seen where the focus was on the panic of the civilians as their world is being bombed into oblivion – but Things To Come does this in a way that felt genuinely shocking for a film from 1936 (or that might just be my sitting here ill at home). So yes. There was an awful lot of promise in the early minutes which then gave away to a lot of philosophising with plenty of on the nose examples. Still, it’s interesting to see a film where H.G. Wells had a hand in the production. I never thought that it would be so hard to find verified Manx Kippers. I’ve seen many a kipper that is labelled as Manx-style or, simply, kippers. However, this is the first time that I’ve been to a fishmongers that specifically stated their point of origin. So then came the question… how do I cook these. Well, according to Delia Smith there are two ways of cooking them: grilling or jugging. Since I didn’t want to completely fill the kitchen with the smell of smoked fish I opted for jugging. However, since I didn’t own a suitable ‘jug’ I used a small bit of Tupperware and kept it warm in a makeshift water bath. It turns out that the main benefit of ‘jugging’ is that it helps to finish off the cooking process whilst also re-hydrating them. The other benefit is that really helps for bone removal. I’m not kidding when I say that the spine and most of the smaller fishbones came away from the flesh incredibly easily. That alone made these better than the Abrorath smokies. 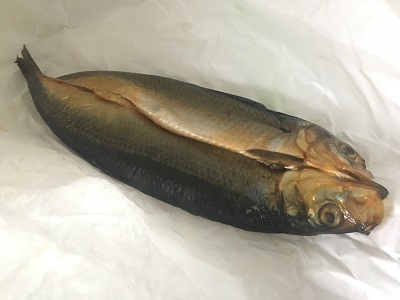 Speaking of the smokies, because of them I honestly did not have a high expectation for these Manx kippers. However, these were far more subtly smoked than most of the other smoked fished I’ve done for the list. The flesh just melted in the mouth, and I am really glad that I followed the suggestion of having a little bit of butter on top so it could melt into the fish and compliment the natural oils. Unlike the lamb kidneys, I can see myself having these kidneys again. Even if it’s for breakfast with some egg on top. Man, it’s been an awfully long time since I last did a double bill for albums. 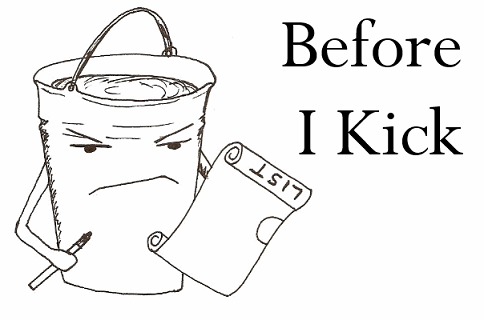 Then again it’s been an awfully long time that I was posting over six months in advance. Also, this is one of those rare instances where I had the chance to listen to both of them in quick succession. 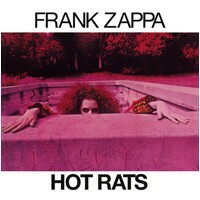 I know that Hot Rats isn’t within the 250, but in for a penny etc. Okay, so I had them on in the background during an all day remote meeting, but after the weirdness of Trout Mask Replica this felt like the best way for me to deal with two hours of Zappa’s music. I know, sacrilege an’ all that. Honestly, I am not sure what to write about these two albums. Compared to his album with Captain Beefheart and his Magic Band, these Frank Zappa albums feel normal. I was going to use the word ‘pedestrian’, but that would imply that these albums were boring. Quite the contrary really. Both albums are, as expected, experimental. It’s just that these experiments aren’t as off-putting as those on Trout Mask Replica. Freak Out! is very much an experimental album in the same way that The White Album by The Beatles, i.e. a lot of the impact has been lost in 50 years of music evolution. In fact, it’s beginning to just sound like one of the better albums of the mid 1960’s that covered psychedelic rock and proto-punk. 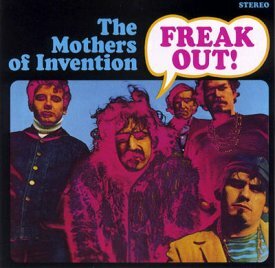 Hot Rats is in a similar position as Freak Out! in that it feels fairly tame. However, what helps it to stick out is that – apart from one track – it is an instrumental album. The idea behind this album was to create a ‘movie for your ears’, which sounds like it could be pioneering until you realise that is that classical composers have been doing for centuries. Then again, where would we be without a hint of pretension. So that’s where we are, two more albums down with not a lot to say about them on my part. Maybe because I listened to them as I would most albums and not as if I was to write something about them? By this point I had hoped to be further into this list and thinking of expansion. Hey ho, as long as I finish it eventually, right? It bears repeating that the reason I am going through the 1001 list is because of the variety of movies. This isn’t just in terms of style or genre, but also the types of stories that are being told. I know I am likely to repeat this spiel when I get around to watching Tongues Untied, but considering I have 359+ more introductions to write before completing this list I hope some repetition is forgivable. Shadows is an interesting entry on the list for a number of reasons. Firstly, it’s an independent film that, in its current state, is a completely re-worked version of an earlier disparaged version. I can’t think of a current film where, after an unsuccessful first set of screenings, the director decides to go for a complete re-shoot. That alone make this film an interesting artefact. Then there is the fact that it deals with inter-racial relationships in a manner where it is clear that it is the prejudiced white man that is the problem. This alone marks out Shadows as being remarkably liberal and forward-thinking for its time. However, that alone is not the most interesting way that they handle the story. The casting of the siblings that are central to Shadows does something that you don’t really see from films of this era; there is a conscious decision to have them all to have colours of skin along a light to dark scale. Lalia, the lightest skinned of the siblings, is so close to being white (because the actress herself was white) that her racist suitor, Tom, has no idea that she is African-American. It is when Tom meets Lalia’s family that the shoe drops and we see him for the bigot that he is. The initial surprise stings for Lalia because, to him, this really matters. We later see him at a party where he is very aggressive about black party-goers touching him or giving him a beverage. Yet, through this, he still thinks he can talk her around to being with him despite his views, which may be one of the most blatant examples of white male privilege I have seen on film. Shadows has a place in the history of cinema because it was a catalyst for American independent cinema and helped inspire a movement that could come up against the New Wave that was coming out of Europe. Sure the acting is a bit patchy and the story of the brothers is a bit lacklustre, but this is an important film and one that needs to be seen to help understand some of the roots of New Hollywood, whose era would begin nearly a decade later.